I haven’t been “back East” since I chopped off my hair. I ASSUMED that the humidity would make it more curly and frizzy. I was prepared to tame the wild curl, I was ready to battle wanton frizziness. I was an idiot. 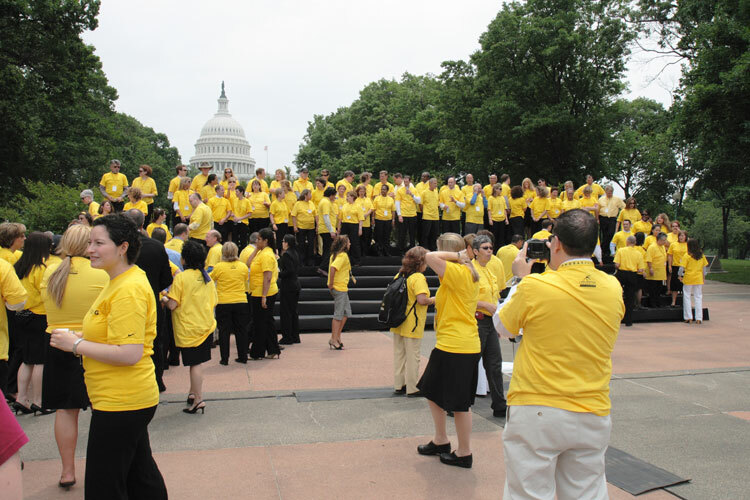 The first time I washed my hair and utilized my various products was on LIVESTRONG® Day – the day that we were to go visit the legislators and have a press conference and all that. It was not long before, “OH, the horror, THE HORROR!” And that wasn’t just because I hadn’t realized until it was too late that someone had “lightened” my luggage by removing my antiperspirant/deodorant. MY HAIR HAD TAKEN ON A LIFE OF ITS OWN. Now, as many of you may know, this isn’t the first time that has happened. But this was EXTREME. It wasn’t super curly. It wasn’t even exactly frizzy. It simply had taken on, root to tip, an unimaginable VOLUME defying every law of gravity old and new. I was speechless (imagine that) and awestruck. But doesn’t everyone DREAM of having a bunch of very important meetings and being part of a press conference when they look and smell their very worst? I thought not. Throughout the wretchedly hot/humid day, I kept trying to calm my tresses (I spoke gently to them, touched them softly – I was the “hair whisperer”). I continuously tucked and re-tucked the whole lively shebang behind my ears. The gallons of sweat seemed to weigh it down – don’t think I’m going to pretend for one moment that I was merely “glowing” and not drenched in my own wretched FUNK and FETOR. At our rest building – WHERE I WOULD REMOVE MY JACKET AND LET PEOPLE SEE MY ARMS IN A SLEEVELESS BLOUSE – THAT’S HOW HOT I WAS – I had a couple of moments here and there in which, from the front, my coif still looked really horrible, but it seemed I had domesticated it just a little – smushing and sweat soothe the savage beast? I wouldn’t have thought it possible, but I made it even more grotesque. Now EVERYTHING is blurry, even the sections I did intentionally “soften,” and I somehow made it look like I’m bleeding from the ear and that I have a mole on my jaw the size of a quarter (American). I thought I’d “tamed” it, while it had just HIDDEN from me. I look like I’ve affixed a wild animal to the back of my head. Dead? Alive?! You decide. But WHAT IN THE HELL IS THAT THING? I’d have loved to say which animal, but I honestly couldn’t think of a genus and species that repelled me so much that wasn’t in the arachnid family; this is quite obviously a mammal. I’m open to suggestions. On a more positive note, my skin, for the most part, liked the humidity. My knees have never been so very soft. My hands were spotted and irritated on and off (I never did figure out why – perhaps an acute case of temporary leprosy), and I was bitten by several DOZEN anonymous creatures (of the insect variety*, no doubt), but for the most part it was pleasant not to have the flaky dry places – ‘specially under my nose, because MY ALLERGIES DID NOT COME WITH ME – rather a miraculous thing. In fact, I just laid in bed sometimes, luxuriating in the fact that I could BREATHE THROUGH MY NOSE completely unencumbered and giggled with delight. Now I’m finding a certain logic to the idea of moving LIGHTENING-fast if you have three million legs. You think I exaggerate? Ha! You crack me up!!! I probably should not have read this while at work because I think everyone in this complex now knows about my extremely loud and possibly “annoying” laugh. Well whatever right…?! You are way too funny, I miss ya! Thank you; you’re too sweet. And I love your laugh! Sorry I haven’t called you yet…. Call me if I continue to be an idiot and you’d like to have a voice lesson this week. 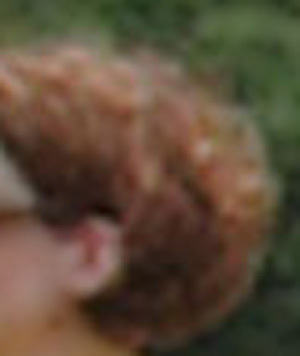 I was drawn by your comments about the curly hair and going back east… funny. Here is a good tip… Use Mixed Chicks products (http://www.mixedchicks.net). You apply, them ending with their leave-in on clean, soaking wet hair and air dry = no frizz, defined curls. Good luck.